I have heard many people tell me how wonderful Cornwall and for the first time ever I visited it earlier this month with my sister. It involved driving through seven counties before entering Cornwall, a fair road trip indeed. But worth every mile. Staying in a rather gorgeous hotel called The Cornwall on the out skirts of St Austell, our room had a balcony view of the hotel grounds and countryside. It was a holiday that included all the treats you would expect, cooked breakfasts, a dip in the pool, spa treatments, cream teas, ice creams and of course fish and chips. We spent our days exploring villages and magnificent gardens. Over the last few months I have been enjoying the television series Poldark every Sunday evening. 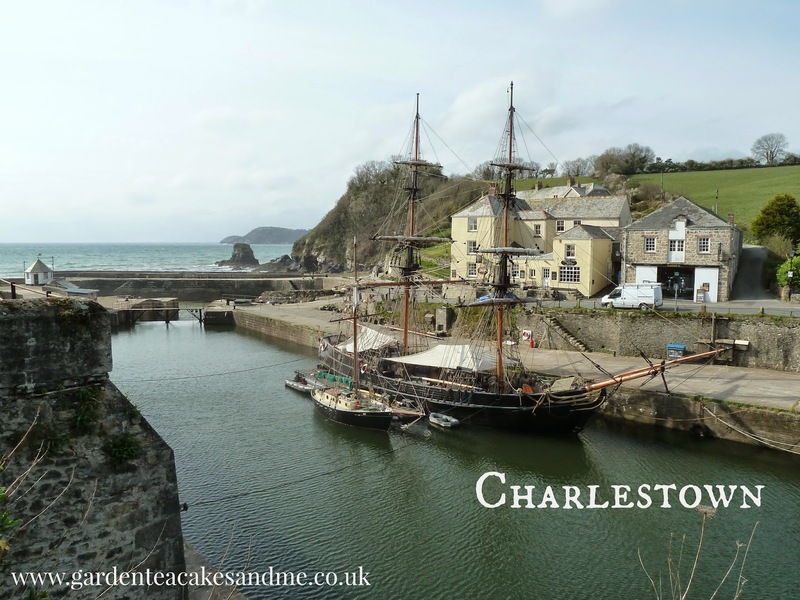 I had established early in my holiday research that many of the Poldark town scenes were filmed in Charlestown, so it was a must visit. In fact it has been used as a location for many films and television shows. It was nice to see that very little has changed over the years. After a walk around the harbour walls I had a peek into the Old Harbour Masters Office, which was quite the little palace. A sign on the window showed you could rent it for £40 for 2 hours, it included wifi and phone signal. I loved its unique seeling point 'the more the weather throws the better the view'. I was surprised how interesting the Shipwreck and Heritage Centre was to visit, I had assumed this would have a heavy slant towards entertaining children. It was well balanced to entertaining and informing both adults and children alike about Charlestown's history. You even get to walk into the disused clay tunnels which bring you out into the middle of the harbour wall, looking towards the tall ship that was docked. There are some wonderful small shops that are worth popping into, I made one or two purchases just a few small items that will always remind me of my visit here. My favourite shops included:- Tallships Creamery (lovely fudge! ), Charlestown Crafts and The Craft Kiln. A quick refreshment break at Wreakers also saw me treat myself to one of their very tasty chocolate hazelnut cannoli, a first for me only previously eaten a lemon cannoli. Mevagissey is an old town with a working harbour, I enjoyed a lovely stroll around in the Spring sunshine although it was mightily windy. Fabulous fresh fish and chips in The Fountain pub, as recommended by the owner of the fudge shop in town. I do find it worth asking locals for food recommendations. What a gem, a quaint old Cornish pub with lots of character and a jolly happy landlord serving wonderful food. I just want to climb into your photos and sit for a spell. Just lovely! I haven't been to Cornwall for years and really need to go back! Charlestown looks like the perfect place to escape to! 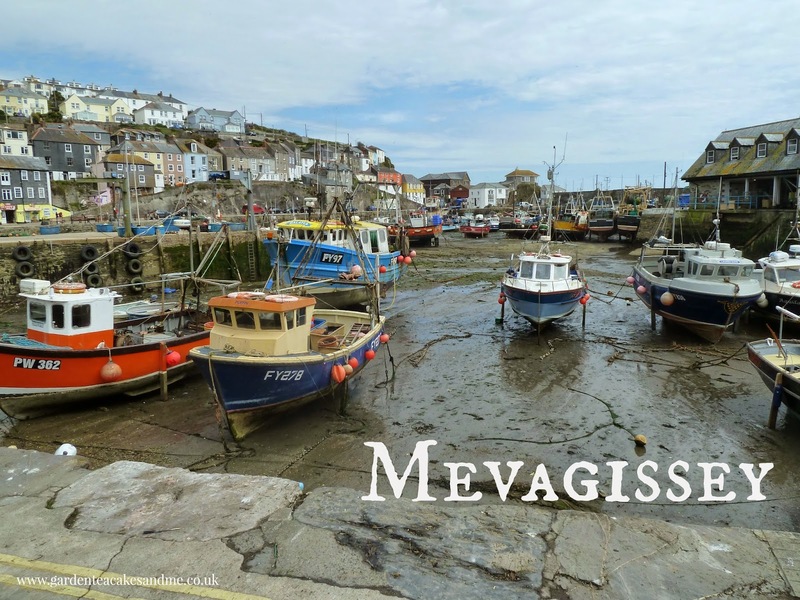 We love this part of cornwall and have spent many lovely days in Mavagissey. My Husband and older sons used to go scuba diving from the harbour there leaving my youngest son and I to do a bit of crabbing on the harbour and wander around the little streets with an ice cream.